Driftwood sells a lot of IPA. But the brewery started selling it back in a day when you could see through it. 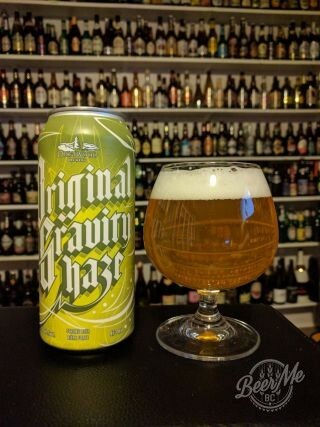 In 2019, it almost seems antiquated to expect an IPA to simply be a hoppier version of a pale ale; additives like oats and lactose have transformed what was often a popular floral or piney clear amber liquid into a dense, opaque heterogenous mixture with prefixes like Northeast, Juicy, Hazy and Milkshake setting user mouthfeel expectations. As purveyors of what can fairly be called BC’s go-to West Coast-style IPA, Driftwood had to have their own particular point of view on the trend that’s seen can after flashy can of new-school brew launched onto retail cooler shelves and countless Instagram posts. 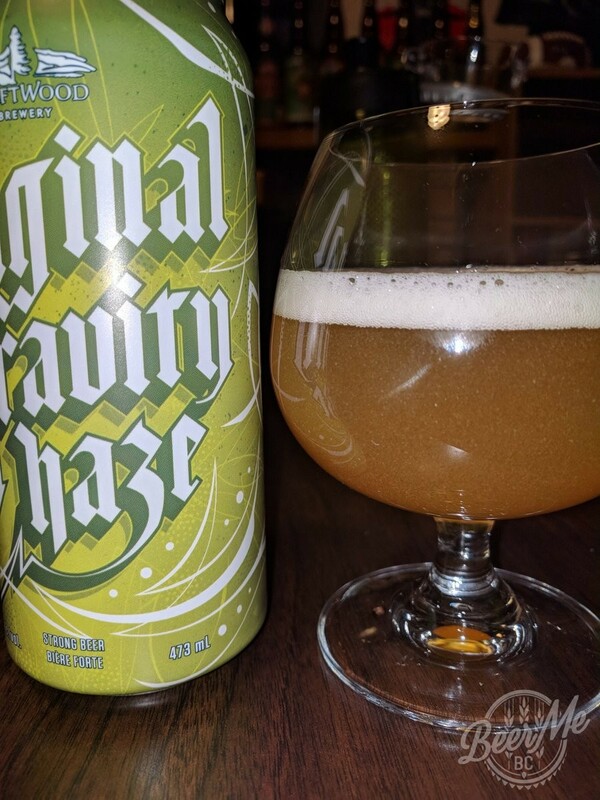 It turns out that they’ve decided to make a statement by creating a hazy IPA that cannot be described as simply derivative. Driftwood has released another potential classic, and it’s with complete justification that they’ve labelled it Original. 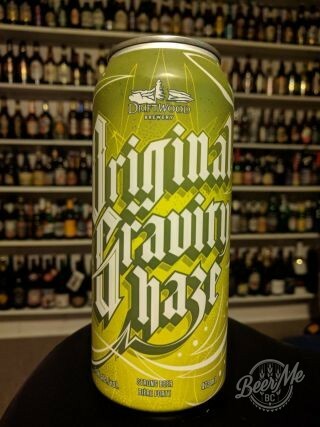 Original Gravity Haze distinguishes itself from the pack because of the type of haze it presents. 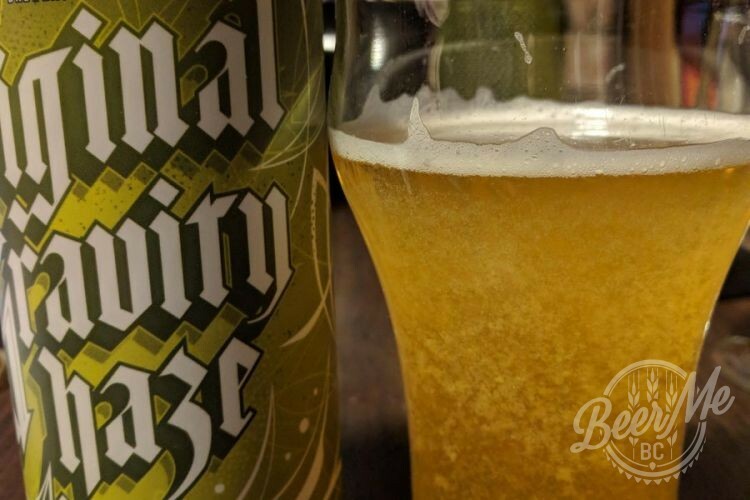 As explained by brewmaster Jason Meyer in the notes accompanying the video above and on their website, they’ve used apple puree to create a pectin haze with suspended unmalted grain (oats and wheat). Puree is sometimes used in milkshake IPAs, but normally to different effect than in OG Haze. 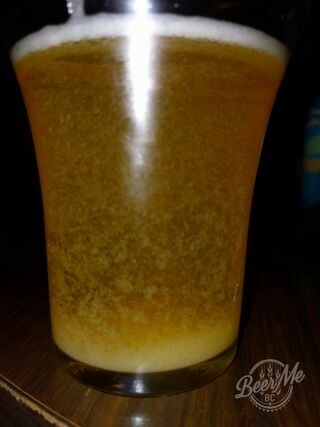 This beer behaves in a way we haven’t seen before, as captured in the photos below. 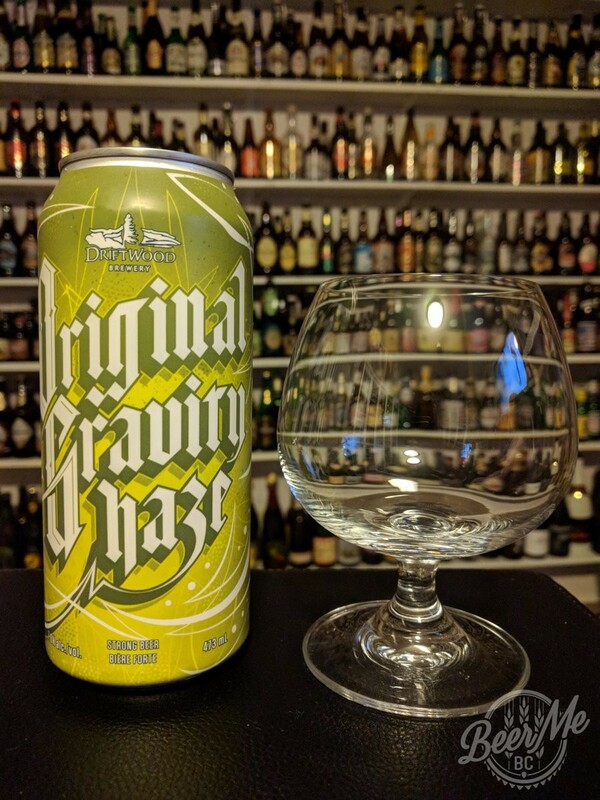 The appearance of the first pour will depend on how you treat the can before you crack it open. In our case, the can was doing what cans normally do: standing up straight in a cold place. 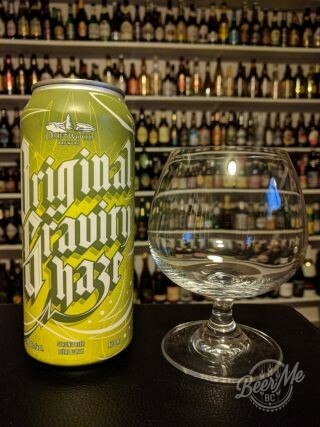 We then did a partial pour into tasting glasses, meaning the can wasn’t fully poured out. This exposed the fact that the can had settled; we had a nice clear gold liquid in our glass since most of the particulate was still lurking in the bottom half of the tin. 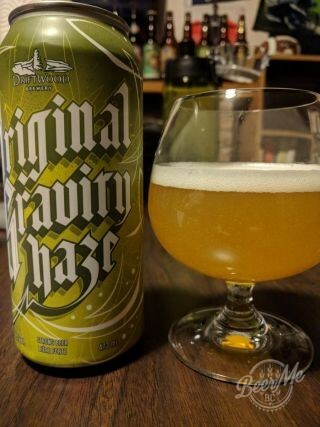 As a result, the ‘haze’ you expect in the name didn’t show up in our first photo. 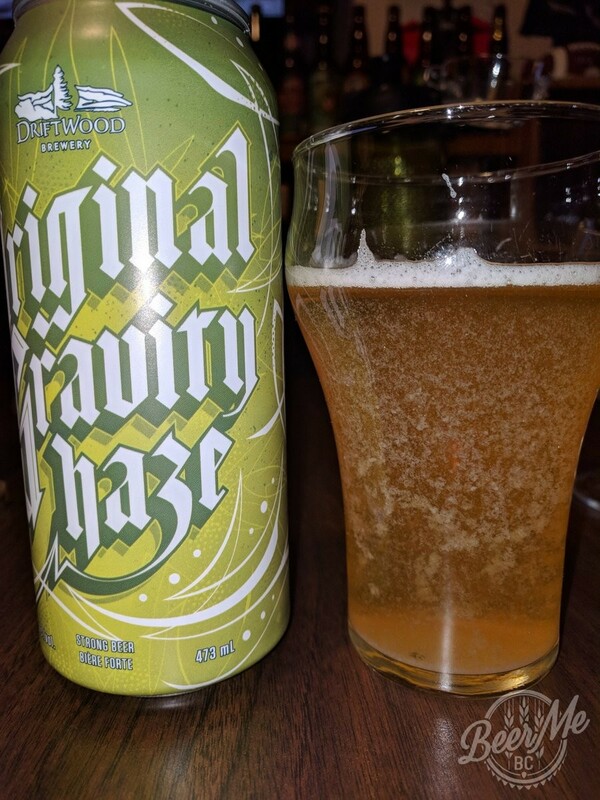 But it didn’t take long for the second half to come out of the can, and then we really saw what this OG haze thing was all about. 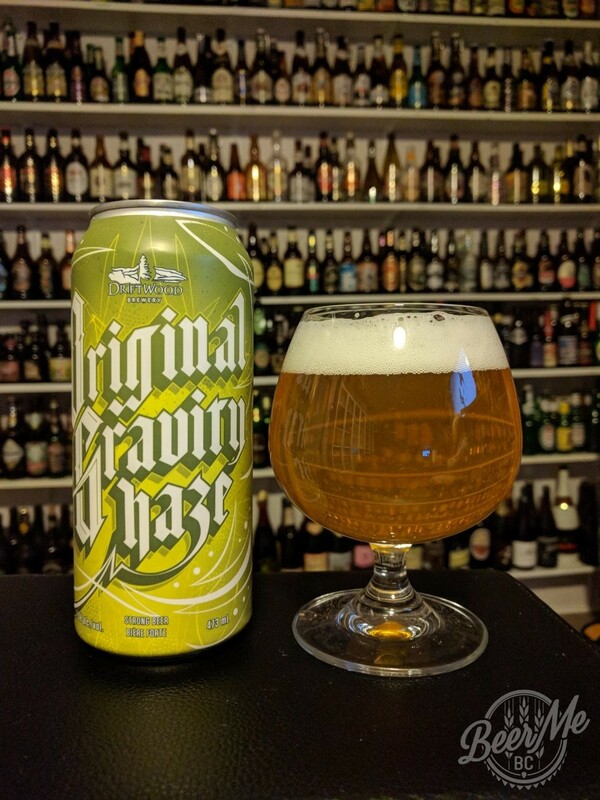 The grain haze has the appearance of orange or lemon zest (finely grated white rind) in suspension, just hanging out in the body of the beer, not moving or going anywhere. It made for a surreal look. Eventually some of the particulate settled out, and as you can see in these shots, gathered into a big pile on the bottom of the glass. But most of it stubbornly stuck right where it was in the body. In case you’re getting the idea that this is a bad thing: no, it’s not; the visual effect pretty cool. It’s for this reason that we gave the beer a rare 5/5 for Appearance. 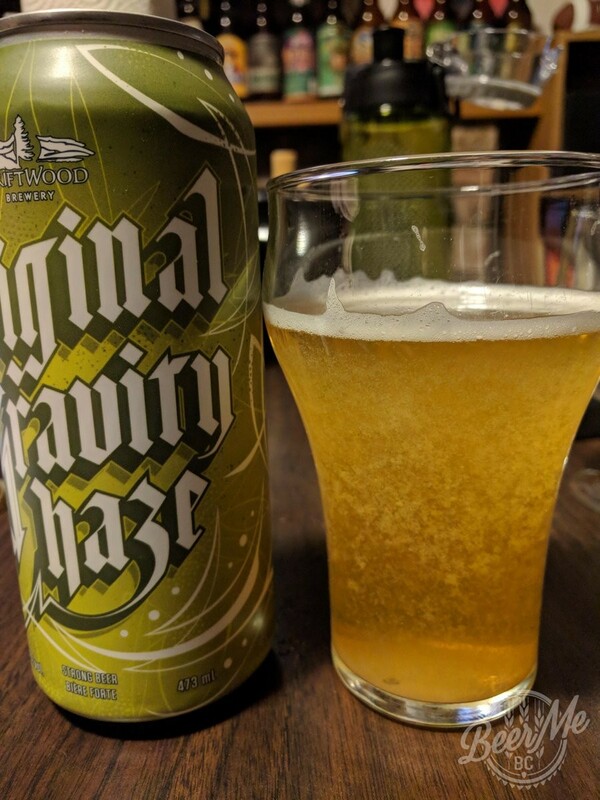 As for how the beer scored otherwise: as you’d expect, the mouthfeel was silky, even pulpy–but due to the fruit pectin had a sensation of clean crispness. There was a distinct fruity aroma. Taste is pretty important, and the beer scored highly there too; we found it extremely flavourful, with a nice fruity hop profile. Unlike other NEIPAs that use a yeast that helps create the haze, Meyer used the same yeast (Chico) that they use in Fat Tug. Like Fat Tug, it features a big 7% ABV. So Driftwood has thrown their hat into the ring. That leaves one other obvious shoe to drop. Will we see a similar “statement” IPA emerge from Surrey’s Bridgeview area? Only Central City Brewers & Distillers know. 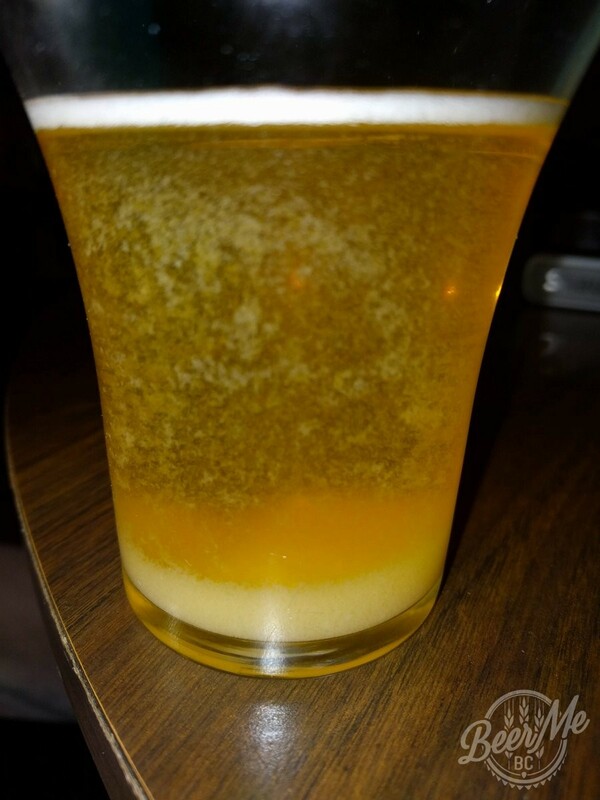 Here’s what we saw when first sharing the beer in mid-sized glassware. Normally you’ll want to pour the entire can into a pint glass. You might also want to give your can the “New England roll” before cracking it. Now you know why. Don’t sit and watch it. Drink it. Victoria’s Driftwood Brewery has decided to throw their hat into the ring and show the ‘new school’ upstarts how to make a truly original Northeast-style IPA. 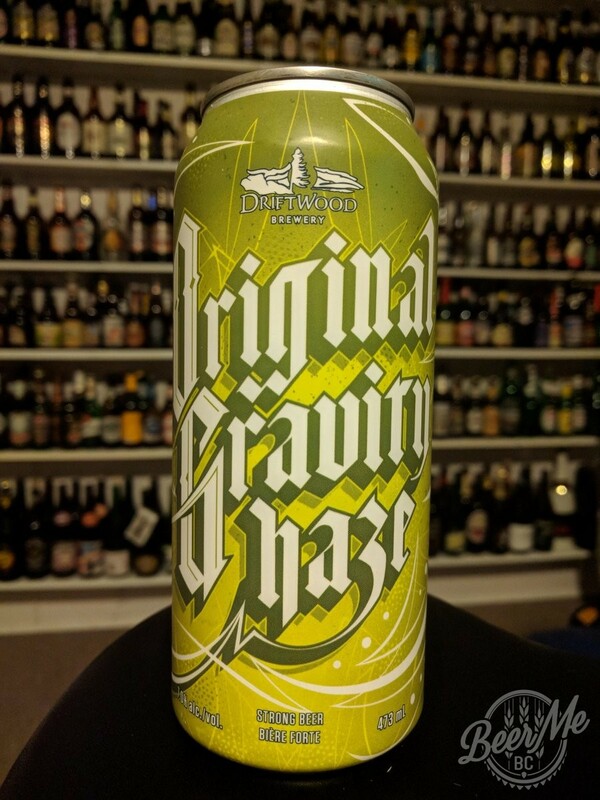 Will we see a similar “statement” IPA emerge from Central City? 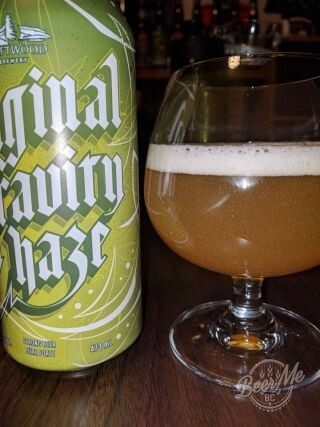 Haze will settle in the can. Recommended to give it a “New England roll” (a gentle roll on its side) before opening, then pour into full glass.